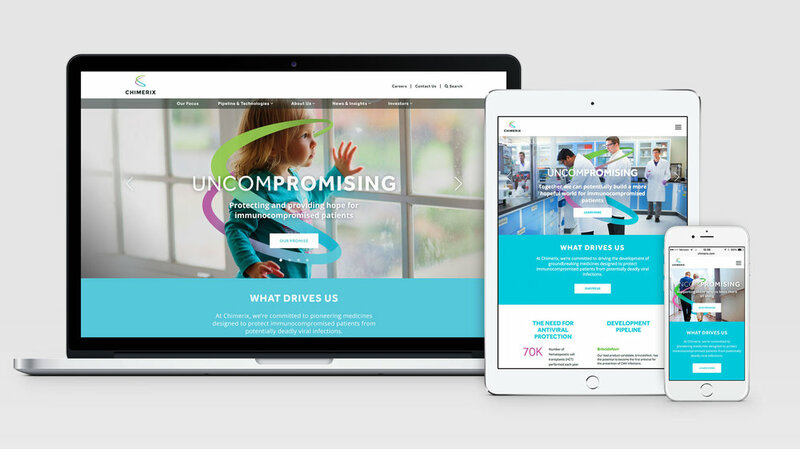 ACKS worked as creative director and designer for the rebrand of Chimerix— a biotech company. 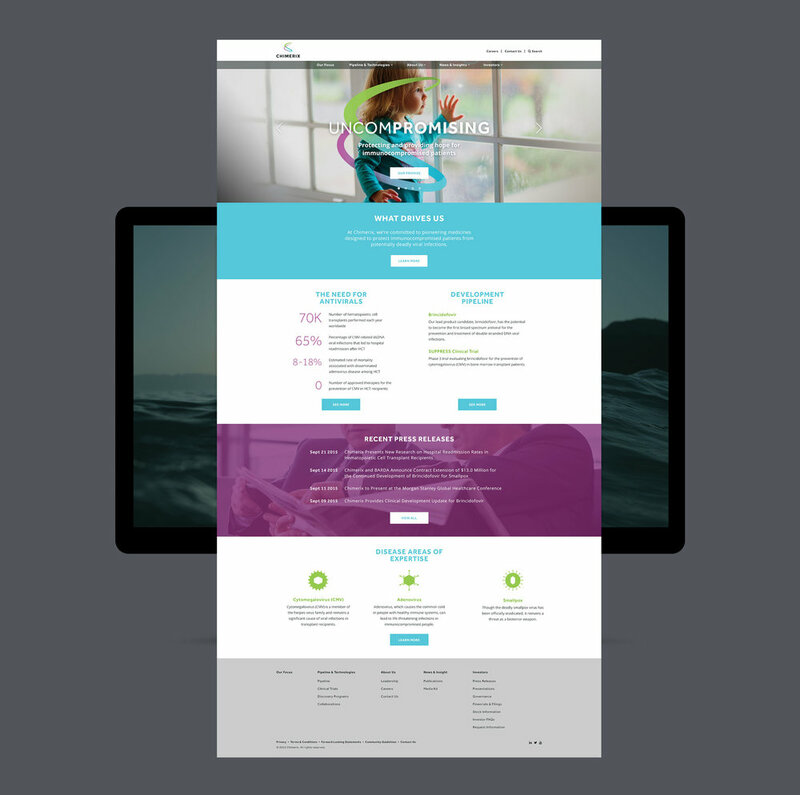 This included revamping all their print and digital collateral— total redesign of their branding, chimerix.com re-design, and campaign development. Also directed a photoshoot at Chimerix headquarters for the campaign and website imagery.